"Last week, the WAFC, the WAFL and WAFLW clubs joined the stand against racism lead by the West Coast Eagles." 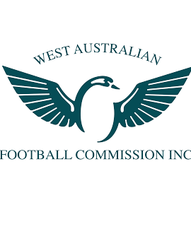 "Following further media reports today regarding racism in country and community football, the WA Country Football League and Perth Football League have emphasised their support for the stand against racism." WACFL President John Shadbolt said it was crucial to raise awareness about the issue and educate everyone about the significant impact racism can have on the mental health and well-being of individuals and community groups, including country football clubs. "We recognise there are challenges for country football in this area and are committed to working with the WAFC and all of our players, clubs and 25 Leagues to address the issue of racism," he said. "As leaders among our regional communities, we believe football clubs can have a positive impact on the lives of everyone involved and genuinely make a difference. We remain committed as a Board to setting the standard of what is acceptable in our game." Perth Football League President Sam Birmingham said the Perth Football League also supported the stand against racism and encouraged all players, clubs and members to set a positive example for the community. "If anyone involved with football experiences racism in any form we encourage them to make the umpires, a coach, club or competition official aware immediately so that the appropriate action can be taken," he said. "We don't want this to be part of our game. It simply has to stop."